Cava, the second largest bottle-fermented appellation in the world, is undergoing an identity crisis. Unlike Champagne, firmly rooted within a highly mapped and delineated place in northern France, Cava production rules do not restrict the wine to any one certain geographical region. 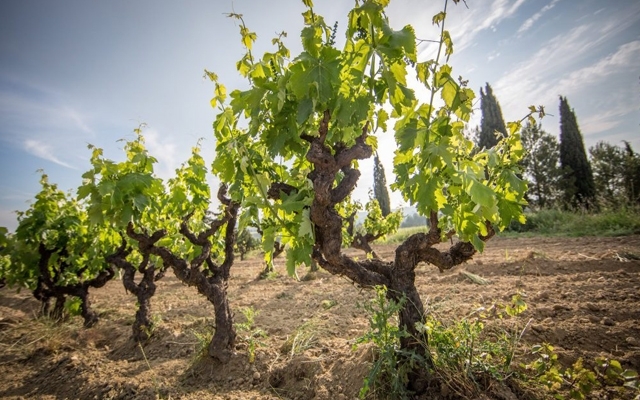 Though north-eastern Spain’s Catalonia is the heartland, and Penedès’ limestone-leaden hills the zenith, Cava can be produced all over Spain, from the Basque region to Extremadura, leaving consumers with little idea where the grapes actually come from. There are no Premier, or Grand Cru designations within the DO, indicating terroirs of importance. Quality levels are based on aging and yield. After nine months on the lees post secondary fermentation, a wine can be labelled Cava. You need 18 months for Reserva, and 30 months on the lees for Gran Reserva. Indigenous grapes macabeu, parellada and xarel·lo, are most commonly blended, although chardonnay and pinot noir are also welcomed in the blend (curiously, pinot meunier is not), as is a local grape called subirat. For Rosado Cavas, still red wine from garnacha, monastrell, pinot noir, and trepat can be used. As of 2017, the first major change since the DO was granted in 1986, a new official premium Cava category was created: Cava de Paraje Calificado. Paraje roughly translates to “place”. To be recognized as a CdP, tighter, rules must be adhered to. Wines must spend a minimum of 36 months aging on lees, be made in a Brut style (12 g/l) or dryer, and be vintage dated. Base wines and finished wines must pass through a tasting panel. No acidification is allowed (as it is for other Cavas) and the minimum total acidity (TA) is 5.5 g/l, 0.5 more than for regular Cava. Site is of utmost importance. The vineyard must be hand harvested, with a maximum yield of 48 hl/ha, and from vines at least 10 years old. The vineyard itself must be an approved paraje calificado, entirely owned by the winery, and said winery must vinify at least 85 percent of their base wines. Before approval, the paraje calificado must have been separately fermented for at least three harvests. Rules are strict, but the size of the singular paraje is not specified, so it remains to be seen what wineries will put forward for the new category. These CdP wines are not intrinsically better quality than the Gran Reserva Cavas, long held as the height of the appellation. They are, however, wines of place, which is something unique for Cava, and hopefully something meaningful for Cava drinkers. It’s certainly meaningful to us.